Hi! This post is by Becky, I’m one of the farm interns this year. 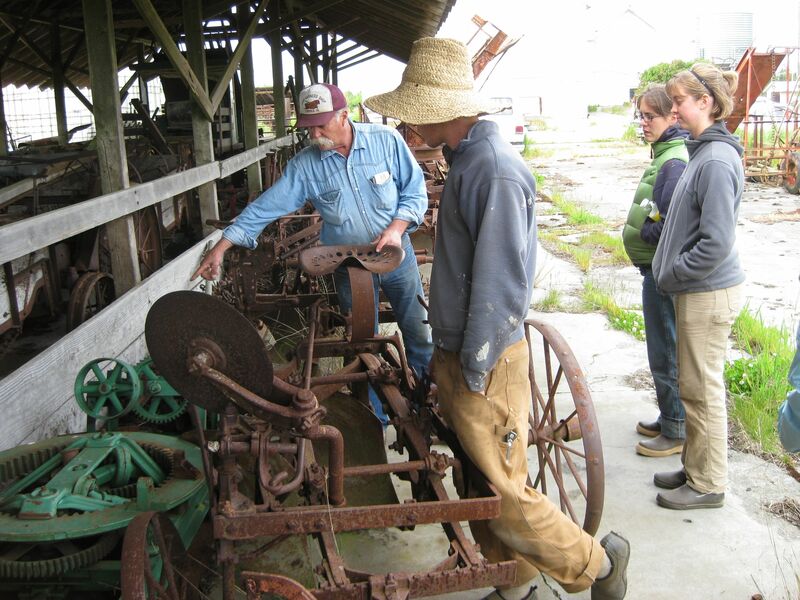 Last week we got to take a break from weeding vegetables here on the farm and took a trip to Sequim to visit John Erskine, Betsey’s horse mentor. 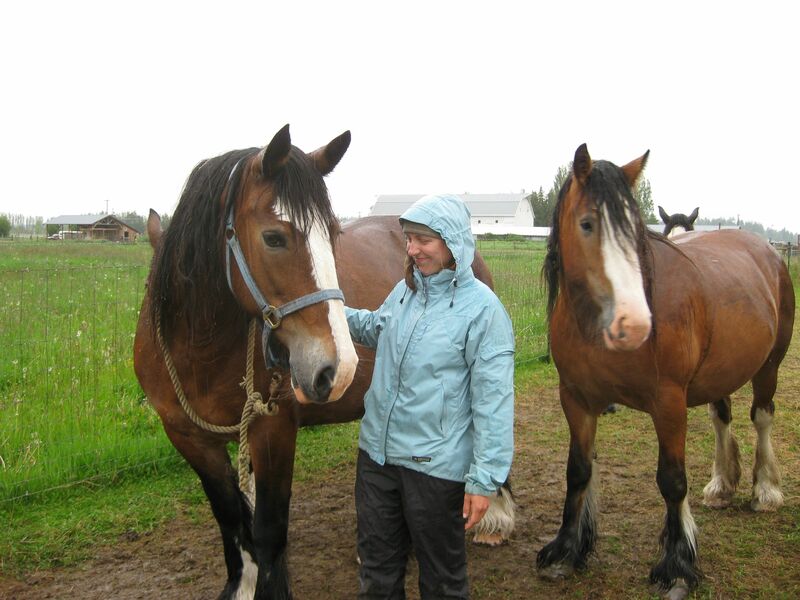 He has been working with draft horses for a long time and has been training Betsey’s two young fillies. 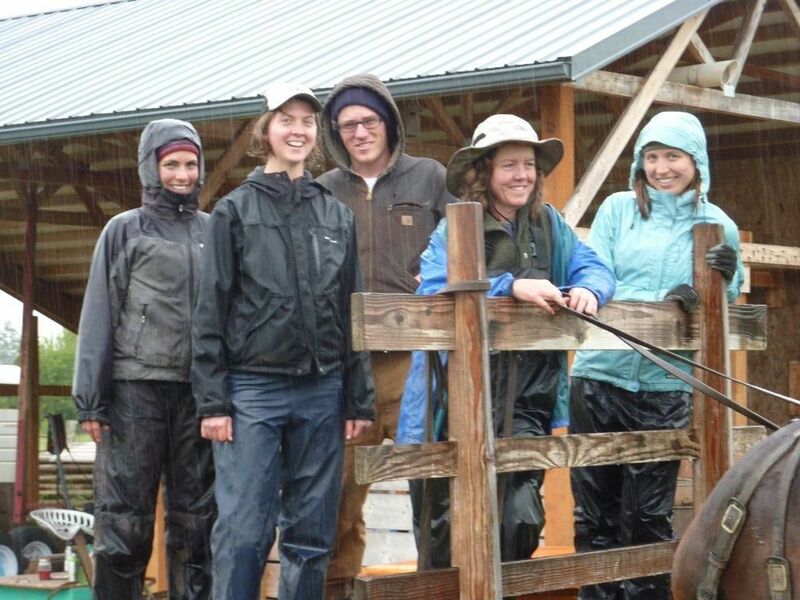 It was pouring down rain the day we were there but we had a great time cleaning harness, learning about horsedrawn farm equipment, trimming the horses’ feet, and finally, each getting a turn to drive a team of two horses! When we were in Sequim we also visited the Dungeness Valley Creamery and got some delicious raw Jersey milk from this family-owned dairy. Now we are back at Laughing Crow Farm, trying to figure out what we can get done in this rainy June weather! Betsey driving the hay wagon! 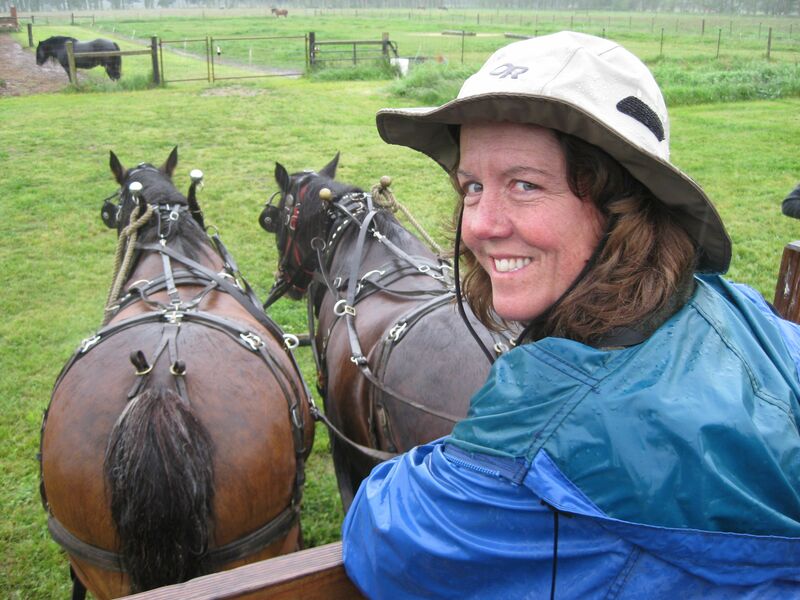 This entry was posted in field trips, horses and tagged draft horses, John Erskine, Sequim, Shires. Bookmark the permalink.